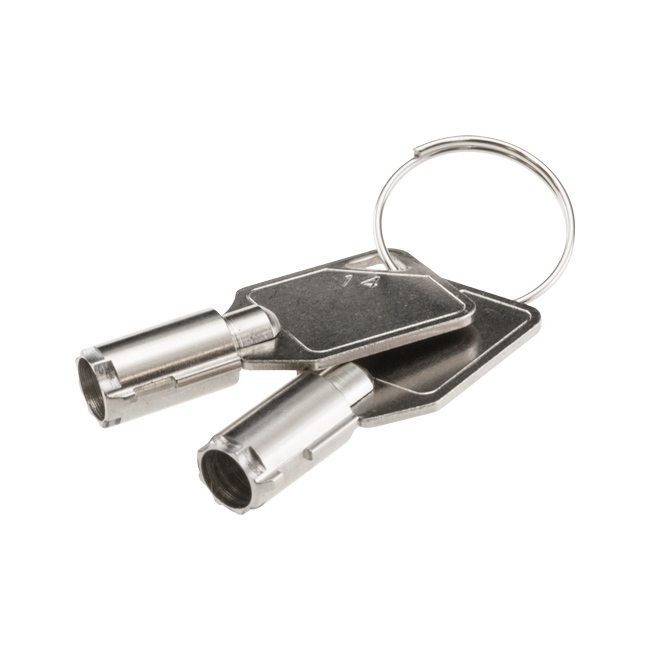 This lockable security case is made from durable and light-weight aluminium. 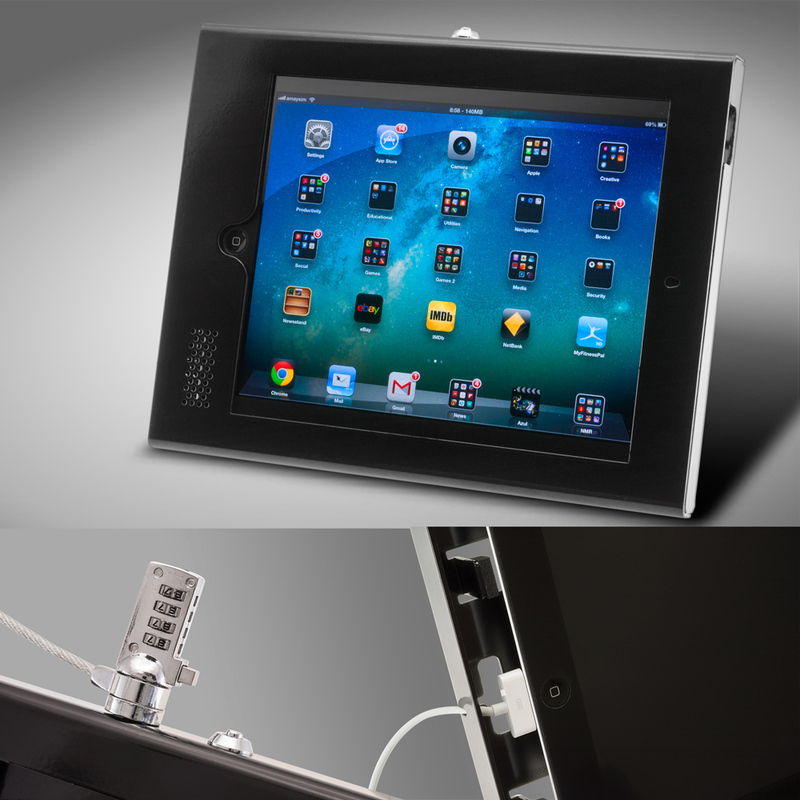 You can fit any size iPad (except Mini) for safe and secure display or use. 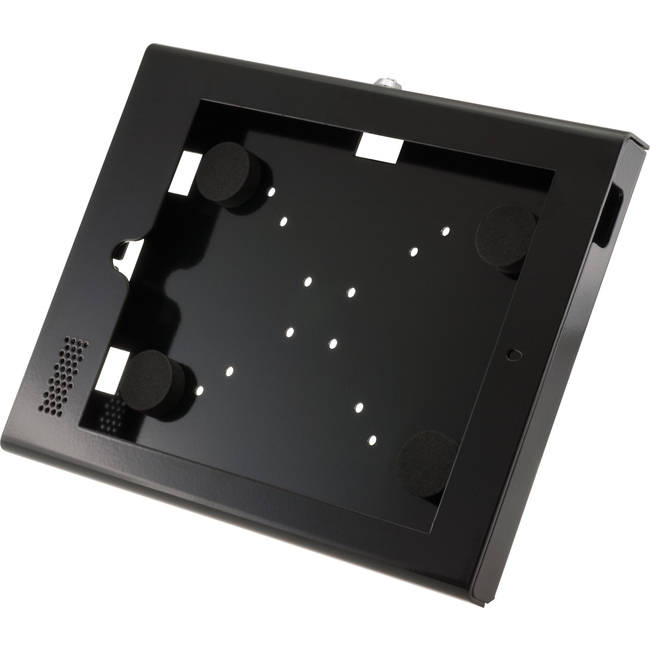 Features rear cutouts for cables to enter and exit the case without hindering closing the case. Also features cut-outs for the camera and the home button, as well as a small grill so audio output is not muffled. 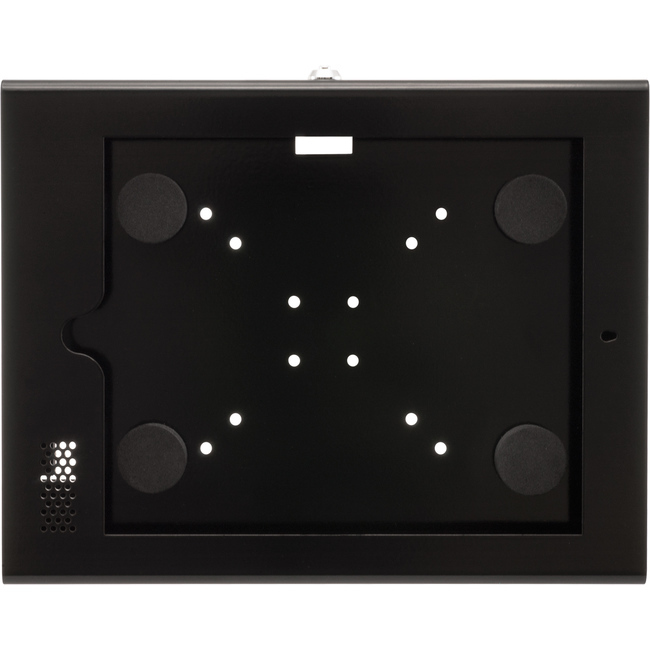 For mounting to table top or wall, see LOCKMT.